Whereas US Secretary of State Mr. Mike Pompeo ordered his predecessor, Mr. John Kerry, just last week to ‘get off the stage’ when it comes to diplomatic dealings with Iran, it would appear other nations have been busily scheming on their own in the past weeks and months. 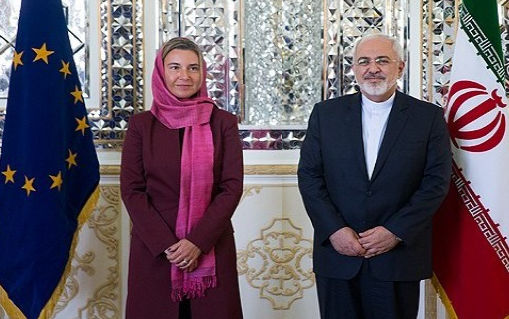 EU foreign policy chief Ms. Federica Mogherini announced today at the UN meeting in New York that the European Commission intends to set up a payment system which would allow global companies to bypass sanctions and continues doing business with Iran. The plan has been agreed after diplomatic talks at the UN with the remaining members of the original Iran nuclear deal and has a principal accord from the governments of Britain, China, France, Germany, and Russia. Related coverage: <a href="https://thegoldwater.com/news/37864-Nikki-Haley-To-Iran-After-Terrorist-Aid-Accusations-Look-In-The-Mirror-Video"> Nikki Haley To Iran After Terrorist Aid Accusations: “Look In The Mirror” (Video)</a>. The new payment system to maintain business with Iran and bypass US sanctions would be setup without relying on the US-led global market and dollar. The exact details still need to be worked out. It is surprising that the five nations, and certainly the European Commission has no problem agreeing on a trade deal with Iran in a year where popular protests against the regime have spiraled out of hand. Both the beginning of the year and the summer months saw mass protests against the regime of the Ayatollahs. Exactly how the system would work is still being determined. A joint statement of diplomats of the five countries said they were determined to "protect the freedom of their economic operators to pursue legitimate business with Iran." French, British and German companies have huge business investments in Iran. The Joint Comprehensive Plan of action or JCOA as the nuclear deal is officially known was negotiated during the US presidency of Barack Obama and was the pride and joy of former Secretary of State Mr. John Kerry. US President Donald Trump decided to pull out of the agreement earlier this year and impose new sanctions, sending the Iranian currency into the doldrums. What do you think of this story? Let us know in the comments section below. 100% free speech, 100% anonymous.